has gone up by 3,400 times. Jack Welch once famously declared that shareholder value is the ‘dumbest idea in the world’. He defended this somewhat provocative statement by arguing that value creation is a result and not a strategy, and that short-term profits should be allied to an increase in the long-term value of a company. While the financial mavens at Mahindra might not necessarily agree with Welsh’s description of shareholder value, they will certainly concur with his argument in support of it. Over the past six decades, the Group has created substantial value for shareholders through a judicious combination of expansion, productivity improvement and strategic partnerships, resulting in considerable growth. In fact, if one were to trace the arc of wealth creation at Mahindra, one would see that the Group’s market capitalisation has increased 115 times over the past two decades, a clear validation of the fact that we mean business. The ringing of the bell at the Bombay Stock Exchange is a time honoured tradition that not only signals the debut of a company on the bourse but is also a rite of passage for the business in question. It heralds the start of a new and hopefully, profitable innings. 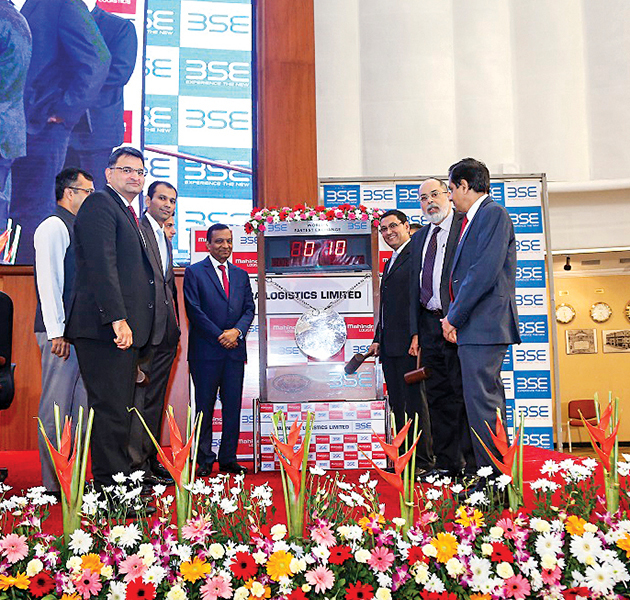 On November 10, 2017, after a gap of nine years, a Mahindra company, Mahindra Logistics Limited (MLL), became a part of this heritage when CEO Phil Sarkari rang the ceremonial bell to signal the Company’s listing on the exchange. It was a moment of great pride for MLL, which is one of India’s leading third-party logistics (3PL) service providers. Its IPO, which opened on October 31, was oversubscribed 7.9 times, resulting in significant value creation for shareholders, Mahindra & Mahindra Ltd. (M&M), and the private equity firm Kedaara Capital. “Our IPO was the largest in the logistics industry. The success of the MLL IPO was very gratifying for us, especially if you consider that our initial cash investment in the Company was INR 51.5 crore, and after listing, as on December 31, 2017, the Company’s market capitalisation is INR 3,085 crore and the value of M&M’s current shareholding is now close to INR 1,800 crore (in addition to the INR 490.53 crore already realised through the sale of shares). This is huge value creation for shareholders and is aligned with the strong tradition of testing ourselves for value creation through a listing. MLL became the seventh Company to be listed by Mahindra and joined the league of 10 listed companies within the Group,” says a visibly proud V.S. Parthasarathy, Group CFO & Group CIO, Mahindra & Mahindra Ltd. It is not just M&M that has reaped the benefits of MLL’s success. Kedaara Capital, a private equity firm which had invested in MLL a few years back has seen its investment grow multifold in this period. “MLL was listed at INR 432 per share and the highest price achieved since has been INR 500 per share. It is also noteworthy that since we got listed, we have consistently traded more than the listing price. Moreover, the fact that the issue attracted marquee investors at the higher price bracket, including Stewart, Goldman Sachs, Amundi and Wellington from overseas, as well as HDFC Mutual, Reliance Mutual, UTI Mutual, Sundaram and Premji Invest in India, is testimony to our strong growth prospects,” says Sarkari. 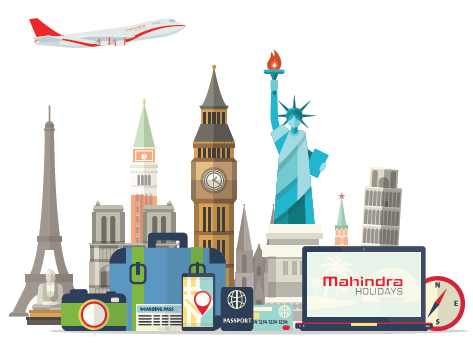 Mahindra Logistics is, in fact, just one in a long line of companies within the Group that have created considerable shareholder value over the years –a line that can be traced as far back as 1956 to the very first listing ofMahindra & Mahindra Ltd. It was a time of great change in an India that had just broken free from the shackles of colonial rule. Development was the need of the hour and Mahindra played its part in contributing to nation building. From modest beginnings in Jeep assembly and steel trading, the Company soon spread its wings to diversify operations. Its foray into tractor manufacture coincided with the onset of the Green Revolution which focused on improving agricultural productivity in the country. The Licence Raj, or Permit Raj, was an elaborate system of licences and regulations that were required to set up and run businesses in the country. This was aligned with the Government’s vision of establishing a society based on socialism but it also constrained economic growth. Consequently, there was a lull in business and it would be a few decades before the next Company within the Group was listed. Mahindra Logistics is, in fact, just one in a long line of companies within the Group that have created considerable shareholder value over the years – a line that can be traced as far back as 1956 to the very first listing of Mahindra & Mahindra Ltd. The 1990s saw the dawn of a new era in India with the onset of liberalisation which aimed to expand the role of private and foreign investment, and make the economy more market oriented. It was also a time when the Mahindra Group experienced rapid growth as it forayed into new areas such as IT, financial services, hospitality and real estate. However, the onset of the 21st century saw Mahindra face a severe crisis as its share price fell drastically. From a high of INR 676 in the year 2000, the stock price fell to INR 51 in 2001, excluding the Company from the list of bellwether stocks. Both the auto and tractor businesses were on a downturn and this situation proved to be the impetus for the Group’s very first Blue Chip Conference which saw its senior managers come together to brainstorm a solution. Financial focus was the clarion call. In 2005, businesses were given the ‘3-2-3’ mandate which meant they had to double the revenue and triple profits in three years. However, this goal was surpassed in two years. The launch of the Scorpio in 2002 proved to be the turning point as far as the Group’s fortunes were concerned. The Company essentially had two options to choose from. It could either tweak an existing product or create an entirely new one. Mahindra decided to take the second route and bet everything on the Scorpio. This bold decision paid off as its unique design and strong value proposition proved to be a runaway hit. The journey of rapid growth continues within the Group and it is no wonder that our share price has gone up by 3,400 times in the last 40 years. 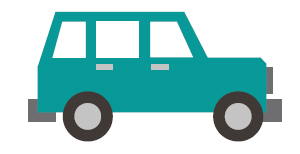 The Scorpio’s unique design and strong value proposition made it a runaway hit. In April 2017, we completed a Rights Issue of over 10.2 million equity shares in the ratio of 1:4, or one new share for every four equity shares held. Meanwhile, the listing juggernaut continued within the Group. Set up in 1994 as the Group’s real estate and infrastructure development business, Mahindra Lifespace Developers Ltd. (MLDL) is at the forefront of creating green residential spaces and world-class urban infrastructure. The Company publicly listed at the cusp of the new millennium, on April 12, 2000, at INR 17.2 per share. Its stock price has grown exponentially over the years, providing shareholders with considerable returns. From INR 16-17 per share in 2002, it ranged between INR 450-500 per share in 2017.
have grown from INR 200-300 crore to about INR 3,000 crore. Our capital-light approach to future growth also enhances shareholder returns and enables faster growth with limited capital. 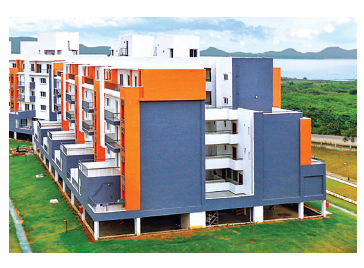 This involves strategic partnerships and launching large residential projects as joint developments.“Moreover, the awards we have won for governance and investor relations, including the Porter Prize for Excellence in Governance and the Investor Relations Society Award for Best Environment, Social & Governance (ESG) Disclosures in the Small Cap category, are further testimony to our success,” says Jayantt Manmadkar, CFO, Mahindra Lifespaces. Established in 1991 as a captive finance Company for Mahindra’s automotive business, Mahindra & Mahindra Financial Services Ltd. (MMFSL) is now India’s largest rural non-banking financial Company and has impacted the lives of over 5 million customers. The Company publicly listed in March 2006 and its price per share has increased by over 10 times since, a CAGR of 23%. MMFSL has a continuous, unbroken record of paying dividends to shareholders, which has added to their returns over and above the increase in share price. The Company has achieved substantial growth over the past two decades. “We entered the insurance broking business in 2004 to service the insurance needs of our customers, and the rural housing finance business in 2008 to address the unmet housing finance need in rural and semi-urban India. In 2011, we accessed the global markets through a joint venture with Rabo Bank, USA, for tractor financing which now has an asset book size of USD 1 billion and in 2016, we received registration from SEBI to enter the mutual fund business. In 2011, 2013 and most recently in December 2017, we accessed the capital markets through a Qualified Institutional Placement (QIP). We also became the first issuers of public subordinate debt in the industry in 2017,” says Ramesh Iyer, Vice-Chairman and Managing Director, Mahindra & Mahindra Financial Services Ltd.
Tech Mahindra, the erstwhile Mahindra British Telecom and one of the IT industry’s trailblazers, listed on August 28, 2006, at a time when India’s IT revolution was steadily gaining momentum both within the country and overseas. The Company has since been able to deliver a return of ~17% CAGR to shareholders. “We have a good track record when it comes to dividends. Our dividend payout ratio (including dividend tax) stands at ~37% in FY2016-17. In FY2014-15, we announced a bonus share ratio of 1:1 and simultaneously engineered a stock split in the ratio of 2:1,” says Milind Kulkarni, CFO,Tech Mahindra. Established in 1991 as a captive finance company for Mahindra’s automotive business, Mahindra & Mahindra Financial Services Ltd. (MMFSL) is now India’s largest rural non-banking financial company and has impacted the lives of over 5 million customers. “M&M’s decision to go public in the 1950s was prompted by the need to raise funds for future growth of the Company. The Group was still in the early stages of its existence and we required capital for expansion and trading activities.There were two main routes through which Mahindra developed. The first involved organic growth and development within the Company itself, along with the creation of joint venture companies that brought us both capital and technology. The second was nurturing companies within the Group and adding further value to them through a public listing. 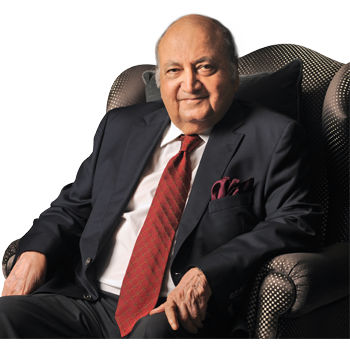 This philosophy has continued till the present day with the Mahindra Logistics listing being the most recent example of wealth creation. us by shareholders. There are several important issues that emerge when you become a trustee of public funds. The entire culture and attitude of the Company changes when you gain new shareholders, as you have an obligation and responsibility towards them for the amount they have invested in the Company. I am often asked how companies can create value for shareholders and society at large. While manufacturing goods and services and creating employment and profits are important aspects of growth, they are not the only objectives. Companies also need to meet social obligations and ensure business is run in an ethical manner in the interest of all stakeholders. This is perhaps the best way in which they can create value. I am very proud of the fact that we have created a unique culture of empowerment at Mahindra where employees are concerned and we must continue to build on these strengths. We must also support and encourage complete transparency in business. The creation of a strong partner ecosystem with companies like IBM, CISCO and Microsoft, along with strategic acquisitions like Satyam, Pininfarina and BIO Agency have further propelled growth for the Company. “We are currently at an inflection point, moving from linear to non-linear in areas which are deep technology domains and are guided by the DAVID (Digitalisation. Automation. Verticalisation. Innovation. Disruption) strategy which will accrue further value for the Company as we move into the future,” concludes Kulkarni. From IT to hot metal, the next Company to join the ranks of listed entities was Mahindra CIE (formerly Mahindra Forgings) which listed on August 29, 2006, just a day after Tech Mahindra. The roots of Mahindra CIE lie in a start-up, fuelled by a strong entrepreneurial spirit and driven by an audacious self-imposed goal – to hit USD 1 billion each in sales and market capitalisation within 10 years. As a late entrant in the Auto Component space and driven by the desire to establish itself as a global auto component leader by leveraging its LCC roots, Mahindra Systech had no option but to opt for inorganic growth. It effectively executed this strategy with support from Mahindra’s Corporate M&A team while following the discipline of finding likeminded partners and eschewing auctions. This combination, coupled with productivity improvement and cost control, resulted in a successful listing. Systech team and its partners not only helped the team weather the global financial crisis of 2008, but also saw it emerge stronger and more resilient when it partnered with CIE of Spain which had a complimentary set of product mix, geographies and products. “To begin with, we combined all our entities and those of CIE, including Mahindra Hinoday, MUSCO Stampings, Mahindra Composites, CIE Spain, CIE Lithuania, etc., under the Mahindra CIE umbrella. We have maintained a strong focus on productivity improvement and have implemented stringent cost controls, which has resulted in vast enhancement in operational performance of all the businesses. The extent of synergy persuaded M&M to cede a majority stake and CIE reciprocated by allowing M&M to assume an ownership larger than that of its promoters. Subsequent events testify to the wisdom and foresight of both partners as our stock price moved up exponentially from INR 43 in May 2013, just before the alliance with CIE was announced, to INR 260 at the time of going to press,” says a visibly proud Hemant Luthra, Chairman, Mahindra CIE. This has led to the Company being recognised as a top value creator by both Fortune India and Forbes India, and in March 2016, the Mahindra CIE stock was included in FTSE’s Asian Equity Small Cap Index. It would be another three years before the next Mahindra company made its debut on the bourse. This one conjures visions of sunny skies, pristine beaches and misty mountains. Mahindra Holidays & Resorts India Ltd. (MHRIL) was established in 1996 with a vision to create quality family holidays through vacation ownership. Today, the Company has a customer base of over 2,25,000 members and a bouquet of over 50 resorts in India and overseas. The Company listed in July 2009 at INR 20 per share and is now trading at around INR 350 per share after a 1:2 bonus. With focused expansion and newer product offerings, MHRIL is on the path to rapid growth as it increases its member base and resort portfolio. “Today, we have a rapidly growing international footprint in both Asia and Europe. Our recent acquisition of Holiday Club Oy which has resorts in Finland, Sweden and Spain has expanded the breadth of our business and has made us the largest vacation ownership company outside the USA. We have also doubled our room inventory since listing, and now have the highest leisure room inventory in the country,” says Kavinder Singh, Managing Director & CEO, Mahindra Holidays & Resorts India Ltd. So, what next in the Mahindra Group’s growth story? “The Group was on a golden run till 2012 but growth has been affected over the last few years. A combination of various factors, both internal and external, including global crises, a bad monsoon and slow industrial growth have contributed to this scenario. However, we are optimistic about the next phase of growth and there are a lot of our businesses which have the potential of listing. I have a vision of one listing per year which will keep the value creation journey alive and take our Group to the next orbit,” muses Parthasarathy, while outlining the future trajectory of wealth creation for the Group.